Momma Kate's Ramblings: Trying out a Wordless Wednesday! 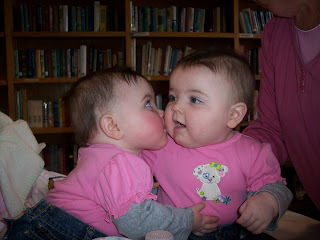 Sister kisses are THE best!! OMGosh, I want to eat them they're SO adorable!!!! seriously, your girls have the greatest cheeks EVER!